And… we have yet another entrant into the Taco Craze currently erupting in Central Florida. More tacos, more Tex-Mex the more the merrier as some would say, maybe others are tired of it, but either way, Tacos are here to stay.... for now. 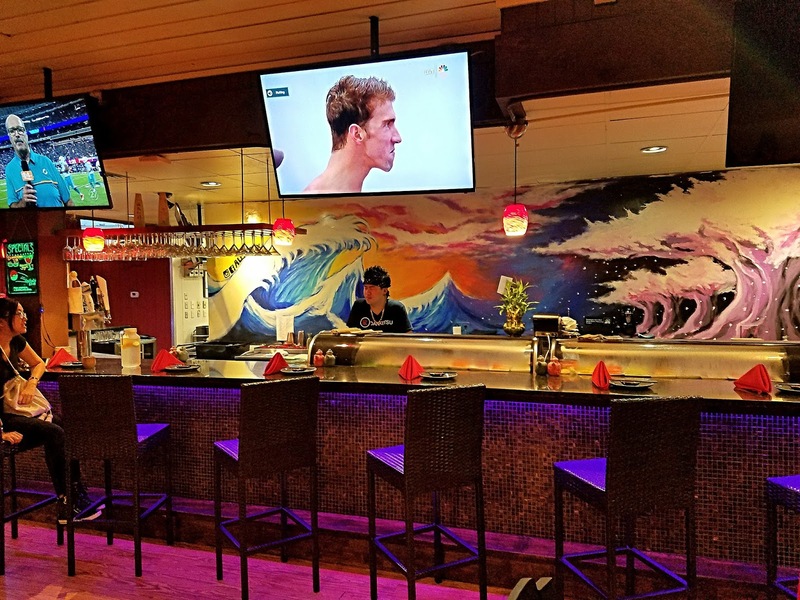 With more than 100 franchise restaurants in Puerto Rico, the Taco Maker brand has expanded into the U.S. with their concept of made to order Mexican with the introduction of Taco Maker Mexican Grill in 2014. With more than 70 franchises now sold, the team at Frans Global – who acquired the Taco Maker brand in 2006 has made its way to Orlando. Whether it’s tacos, burritos, fajitas or dessert, the food is served fresh and with passion. The menus are full of savory and customizable Mexican food options to fit any taste and any diet. Taco Maker features beef and chicken fajitas and fresh made on site guacamole, tortillas and chips as well as fresh made sauces with over 20 fresh ingredients to choose from. Inside is pretty open and spacious. Guests walk up, place their order and customize it as they go through the line and seat themselves, Fast-Casual at its core. Guests have a variety of toppings and options to fully customize their orders as they go through the line. Mexican Grill Bowl with seasoned ground beef and Mexican rice and a Jarritos Lime soda. This is a taco salad that is fully customizable and served in a house made deep fried tortilla. This was filled with Chicken Criollo. Proteins available here are Ground Beef, Chicken Criollo, Steak Fajita, Chicken Fajita or Pork Carnitas. A Taco Trio Platter with Chicken, Carnitas and Ground Beef with black beans, chips and Mexican rice. The Grande Platter I ordered came with a taco and a burrito, so I got the burrito stuffed with carnitas, and went with the ground beef for the taco. The carnitas were very flavorful and really good for a fast casual place, but they do make it everyday in house. The Apple or Cherry Pies are deep fried tortillas with apple or cherry filling and sprinkled with sugar and cinnamon...what’s not to like? Of course the Nutella Cheesecake Pie is pretty much a game changer. This is a deep fried flour tortilla with cheesecake and Nutella filling and sprinkled with sugar and cinnamon. They also serve Rellenitas XL, which is basically a quesadilla filled with nutella and sprinkled with cinnamon and sugar. Overall, we really enjoyed Taco Maker. The prices are very affordable, a combo is about $9.00 here, and that includes a drink. For the freshness of the food and ease of ordering, I personally don't mind another taco spot in Orlando, as long as it’s decent food and they are not trying to hop on another food trend like some local establishments. They have another location in Central Florida as well, at 9924 Universal Blvd. Linda’s La Cantina is pretty much a staple in the Orlando community. If you have lived in Orlando for any amount of time and driven down Colonial drive, surely you've seen the big red and white sign as you pass by. They have been serving the Central Florida area since 1947 with quality steaks that are U.S.D.A. choice or above and are cut right on site. They are grilled hot and fast to sear in all the juices, and that helps to make them a cut above. In a world of constant change, especially in Orlando, and in the restaurant business, it's pretty remarkable that they have survived, and still have quite a loyal following. La Cantina celebrated 60 years in March of 2007. What you get at Linda’s is great quality steaks at a medium price range. They are not at the price level of say Christner's, or a Ruth Chris type of steak house, but they are still more expensive than a standard chain type of steakhouse. The average price for a good cut of steak is about $32.00 for a New York Strip, and that's a 14oz. Strip. Also at Linda’s, a salad and your choice of side, along with hot fresh bread is included in the price of your steak. If you factor that in, and the quality of the cut of meats they serve, it's a pretty good deal. The inside of Linda’s La Cantina is a bit sparse and very traditional. It's very dimly lit with wood and brass accents and red and white checkered table cloths for a real old school style steakhouse feel. Although there is an extensive wine list on the table, they do not have any specialty cocktails or mixed drinks on the menu. The good news is, the bar staff here is very capable, and they will make whatever you desire. A Moscow mule on the left and a dirty martini on the right, were great pre dinner drinks. We ordered the Coconut Shrimp with Spice Plum sauce for an appetizer, and they were pretty tasty, although a tad on the sweet side. The House Salad, with French dressing. A salad is served with your choice of dressing and is complementary to any entree selection. Steak is what they do here, and Linda's La Cantina does a damn fine job at great steaks that are moderately priced. This is the 16oz. Ribeye that just melts in your mouth. The side choices we decided on was the baked potato and steamed broccoli. They have a 14oz. and an 18oz. NY Strip at Linda’s. This 14oz version was delicious and perfectly cooked. There was also plenty left over for me to have an excellent lunch the next day. A slice of Coconut cake and some coffee was a perfect ending to our visit. This is quite a unique establishment with a great deal of history going all the way back to when Orlando still had dirt roads. There has a been only a handful of owners since the beginning, but the original Linda was the longest proprietor of this fine establishment. It was torn down and remodeled in 1972, burnt down in a fire in 1994 and reopened in 1995 after a six month rebuild process. Through the next several years some family members left, while others came, and the one constant was the traditions that had been passed down and were still treasured and protected by the ones that cared enough to stay the course. In 2001 Linda retired to the shock of family and all that had seen her behind the desk. Although missed greatly, it was good to know that she was enjoying her golden years doing things she never had time to. Her dedication to the customers and to her family made her a matriarch in the truest sense, and that tradition still lives on today. Linda’s La Cantina is open from 4:00 pm until 9:30 pm Tuesday through Saturday. They are closed on Sunday and Monday. I would suggest making a reservation, as they tend to fill up fast with the limited hours. The Meatball Shoppe is now called The Meatball Stoppe, and they have added a few more things to the menu then just meatballs. The concept of The Meatball Stoppe is to bring you the classic and traditional Italian meatball and then take it in a different direction. The menu is based on tradition fused with innovation that brings new life to the ‘classic meatball’. Patrons can expect to find a combination of an old world style with a retro feel and fresh originality. Everything from classic meatballs, to mediterranean style and the all new buffalo bleu chicken meatball is on the menu. What's new is a selection of Italian favorites recreated as only Isabella could do with a selection of entrees titled Famiglia Favorites. It is here you will find such items as Baked Ziti, Eggplant Stack and Lasagna Bolognese. Additionally a few side items or starters have been added like fried calamari, bruschetta, caponata, and The Meatball Stoppe serves beer now too. The Caprese Salad features tomato, mozzarella and a house made pesto. The Bruschetta with crostini was pretty fabulous in a very decadent red sauce with fresh mozzarella melted in it. I was very impressed with the Fried Calamari at the The Meatball Stoppe. I can honestly tell you..this is some of the best I have had in Orlando. The sauce had a bit of a bite to it as well. Very tender calamari, and it was served properly with the tentacles as well as the rings. The Eggplant Sandwich is a winner. I admit, I have to have meat everyday, but I have some vegetarian friends, and If this was all I could eat...I'd be pretty happy without meat. This sandwich is stacks of fried eggplant with mozzarella, arugula, red onions and a pesto mayo on a focaccia bun. New to the meatball section of the menu is the Chicken Parmigiana meatball with Buffalo Bleu Cheese sauce. A very tasty addition that is gluten free also. The Eggplant Stack is a delicious stack of breaded eggplant with a mixture of imported cheeses and a roasted tomato sauce. Of course you can never go wrong with Nona’s Traditional Italian Meatball with a fried egg in the top. The Meatball Stoppe has always had great cannolis, and they are the perfect size. Sfogliatelle is a traditional Italian pastry that is flaky on the outside and stuffed with a lemon ricotta filling. These are served piping hot and the filling just oozes out of them once they are opened. This was a very tasty treat. Isabella believes her meatballs are special and are a representative of the best of many cultures including the Mediterranean and Latin American Countries. Jeff says his love of meatballs comes from the nostalgia that takes him back to when he was growing up, and they’re warm, inviting and are universally loved by all. Whether you are in the mood for some great meatballs or some really good Italian family favorites, stop by the Meatball Stoppe and say hello. Adding to the list of really good restaurants that dot Colonial Drive on Orlando’s East Side is Dan's Restaurant. It’s one of those places that unless you try it out, you will never know what you are missing. I admit, that I live on the east side, and it has taken me quite some time to finally stop by and check them out. Finally one Saturday morning, after my wife was asking why we don't have some type of basic simple cafe type of place with great breakfast items close to us?….I perked up and said...Actually I have heard good things about Dan’s Restaurant and they apparently have really good breakfast served all day...and best of all, it’s right around the corner. Dan’s is family owned and operated, and has been serving great food in Orlando for over 30 years. The menu offers fresh home cooked food and has unique daily lunch specials, and they claim to have some of the best breakfast in Orlando. For breakfast you have a huge selection of eggs any style, omelets, pancakes, waffles, sausage biscuits and gravy and what the restaurant has become known for… Skillets. The skillets are basically a concoction of various breakfast items all mixed together in a cast iron skillet and topped with cheese, or gravy or pretty much whatever you want. For dinner and lunch they have Meatloaf, Pot Roast, Chicken Fried Steak, Roast Pork, and a variety of subs, like the famous Steak and Onion Sub. Inside of Dan’s Restaurant you really feel like you’ve found a great greasy spoon divey type of place, but not in a bad way. It feels very inviting and comforting inside. It's the sort of place you feel like you have been missing in your life. I ordered the Super Combo with 2 eggs any style, a half order of biscuits and gravy, hashbrowns and bacon. This was great old fashioned breakfast that really hit the spot with agood portions and a down home flavor. My wife decided on the Corned Beef Hash Skillet with massive amounts of corned beef hash topped with scrambled eggs and cheese. It was very delicious and very filling. The neat thing about the skillets at Dan’s is that you can really order one any way you want it or top it off anyway you want to. The service at Dan’s Restaurant was very fast and always made sure we had plenty of coffee and water. The food was really good, and I would say one of the better places for breakfast in Orlando. Don't judge a book, or in this case a restaurant by it's cover, you may miss out on some great eats. Dan's Restaurant is the greasy spoon you have been looking for.